Unlocking the Next Economy is a new project identifying under-used churches and helping them become involved in community economic development. Jonathan Gordon- Farleigh talks to New Start about the potential for churches to renew their social purpose through community wealth building. We’ve been running community economic development projects for some time and a big part of that was looking at local assets and seeing how they can support local economic development. Whether it’s looking at how land could be used to grow food, how roofs could host renewables or under-used buildings could be used for community activities. In the Church of England network alone there are an estimated 16,000 churches nationally and many have dwindling congregations. These are unique local assets but many are struggling with high maintenance costs and a lack of income generation, with the buildings becoming a burden and a drain on resources. Journalist and writer Simon Jenkins described the network as the ‘nation’s grandest unexploited social resource’. How will you help churches play a greater role in their local economies? Our role is to help churches understand community economic development and how they could take on roles as community wealth builders. In recent years a huge movement has developed around community shops, halls and pubs, with communities in rural areas in particular responding to the decline of these local services by taking on the running of them. We would like to see churches become part of this movement by finding new ways to engage with their local communities while also creating revenues to help them survive. A report by the Plunkett Foundation, commissioned by the Heritage Lottery Fund, was published this year looking at the potential for social enterprise in rural churches. This is not about individual social entrepreneurs operating out of churches but about looking at how democratic forms of enterprise can help churches renew their social purpose. I believe we place too much emphasis on entrepreneurs but if you look at the history of the cooperative movement, it has had a huge influence on social movements in the UK and around the world. Co-operatives are about drawing large groups of people together and developing the skills to create and build organisations that have economic aims, but are also much broader, focusing on the social and cultural aspects as much as on revenues. 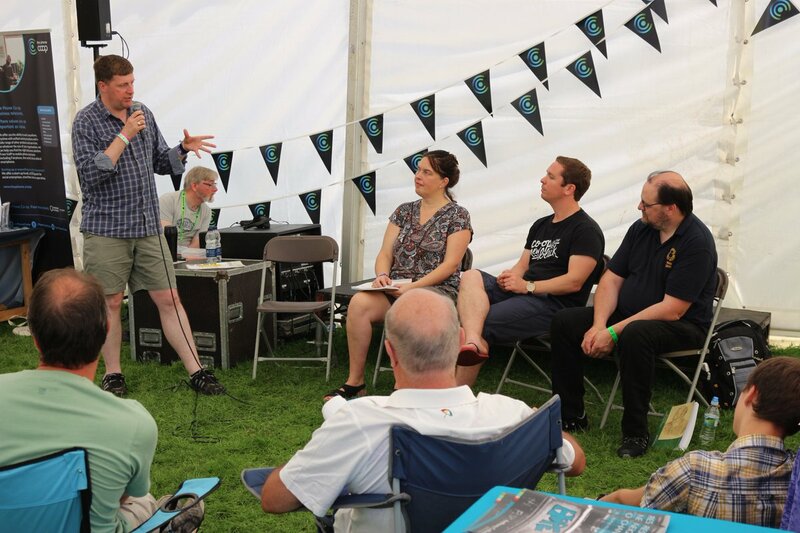 What ideas do you have for how churches could become more enterprising? A few years ago a church in Kent became the first to host a community bank in response to predatory lenders, and that’s an idea that could be replicated. Churches could become community hubs, with a wide range of activities taking place, or wellbeing centres with services dedicated to improving mental health. It’s about making the shift from a charitable approach to a more enterprising approach, but with the needs of the community at its heart. How will you help enable churches to make the shift? We are working with three churches in the southwest of England for this one-year pilot, funded by the Friends Provident Foundation. We will engage those churches and their local communities and help them to identify local needs and come up with ideas around how the church building could help meet those needs. We will offer training and workshops to help them launch co-operative organisations attached to the church. An important part of this process is co-production – based on the work and toolkit of social enterprise Learn to lead – that involves stakeholders in the process from the start. Alongside this, our three pilot communities will be supported by external consultants who are able to encourage local communities, import new ideas, facilitate consensus in an often divisive process, and offer the co-operative model as an option in their community economic development plans. How big of a cultural shift is this? Before the Victorian era churches were used for a wide variety of local services and were places of trade. Culture is slow to change but in many places a process of re-thinking the local role of churches is happening. This is not about monetising services that churches have run for free but about thinking how enterprise can be relevant to their vital work and creating fair business models to help churches continue that work. We plan to hold a one-day conference next year called From Conservation to Cooperation, which will bring together people interested in how the heritage sector as a whole can become more involved in community economic development. Find out more about Unlocking the Next Economy and email us for more information.